Guitarist Bruce Kulick formerly of Kiss & vocalist John Corabi formerly of Motley Crue are undoubtedly drawing on their respective rock pasts & the less showy end of it no less in their collaboration as Union. Obviously Kulick was continuing to stay away from putting on make-up & a floor show with this new & relatively short-lived band. That's the key to Union, no pretentious floor show - either on their self-titled debut, a live album, this second release or their follow-up swan song after this. 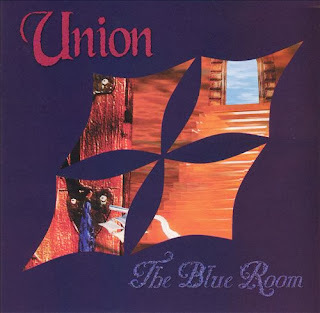 Union rocks hard & while not always unique or too gutsy & some of the choruses are a bit too predictably radio friendly or distant cousins of Creed or Stone Temple Pilots, the whole makes up for the individual with a decent album that will bring repeated listens. You'll be listening repeatedly even when you're saying you're not going to because it's not gutsy enough. The music creeps up on you. You'll feel like you've heard the songs or the flavor of them before, but you haven't & thus you stay listening. They walk that type of musical line. Check out "Dead" & "Hypnotized" for big radio friendly choruses that have the potential to fail as they play things a bit too safe, a general rule of thumb for the whole album, but are so laid back with good steady riffs not too cluttered or chunky & with just enough changes to make them standout tracks & vibrantly catchy. Great songwriting & composing for its genre keeps the album floating, though don't expect anything that sounds like Kiss meets Motley Crue. While Corabi might have joined the bad boys following their legacy making Dr. Feelgood he saw the Crue go for a more alt rock/grunge influenced sound before outstaying his welcome with fans, while Kulick's time in Kiss was like Corabi under the shadow of previous band members & also during a less than memorable era. It's very common to start drooling over a band because of the line-up ... it's supergroup time so let's knock the walls down with magic! But, does it really mean anything to say x y & z members are from a b & c bands? It sets the listener up with expectations that there will be a fusion of a b & c bands. Not here, but you probably won't be disappointed, even when Kulick sings on "Dear Friend" with his less than interesting voice. It goes by too quickly to be noticeable. The problem here is not so much that x & y were in a & b bands, or that said bands had a low point with said members, but that said members don't really have distinctive sounds. Can you tell a Kulick solo if nobody told you? We're not talking Van Halen or Steve Vai or Yngwie Malmsteen here, we're talking guys whose magic is blending in. That's really why this album doesn't fly. They've made blend in music. It's good, but not unique. It bites, but not with much pressure from the teeth. 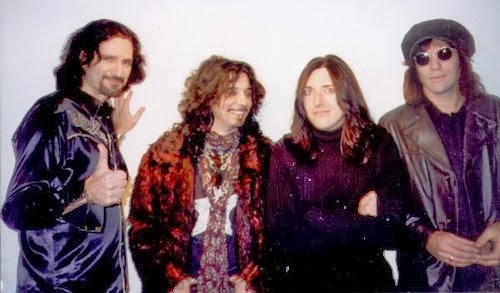 Ironically, Corabi would later unite with another ex-Kiss player in drummer Eric Singer plus Karl Cochran of Ace Frehley's band to release an album under the name ESP. Click here to visit an array of music themed crossword puzzle books spanning the music spectrum, plus other literary efforts. Who Is The Joyful Gadfly? Aaron Joy is a DIY music writer, podcaster, bassist (upright & guitar) and major armchair history buff ... with a soft spot for Lou Reed, Morrissey and the Bill Evans Trio. He lives in Portland Maine where he works as a paralegal, writes and plays bass in the all originals alt-country band Willy Martin & The Woods. 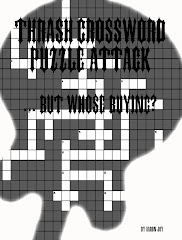 Since 2012 he has been adding to an on-going music themed crossword puzzle book series, the first and only of its kind. For 4 years he owned Roman Midnight Music doing that was music & book PR, label & publishing, with clients including the legendary jazz pianist Irving Fields. He is the former bassist of Brooklyn blues-metal trio Tired Wings and his industrial avant-garde music can be found under the name Blank Faced Prophet. Find his books direct at lulu.com/aronmatyas (or amazon and many online retailers worldwide). (Artists: DO share my reviews or use however YOU want. A link back or a credit line is good too!). Travel theme. Theme images by ranplett. Powered by Blogger.